My favorite time of the year is here, fall. I can’t explain how much happy the lights and colors of fall make me. The season teaches me how beautiful it is to let go off anything old, dead and make way for the new. Nothing inspires us more than the nature itself, right? So, as I am officially in fall mood, I am here with an eye makeup, inspired by the colors of it. Start by grooming your eyebrows. Then apply a wash of skin colored eye shadow all over the eyelid and brow bone, just to make sure there is no oil residue. 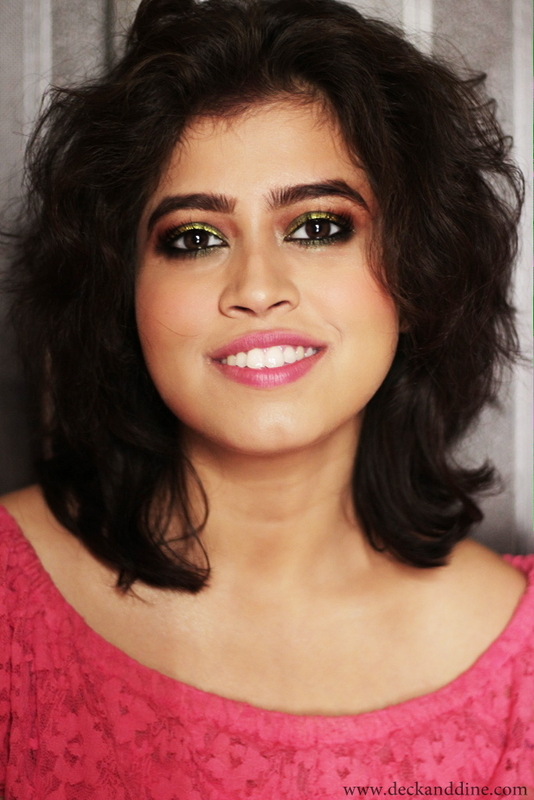 Using a fluffy brush take a peach colored eye shadow blend it on your crease. Now take a brownish orange colored eye shadow on the same fluffy brush and start working over the peach colored eye shadow, blending really well. 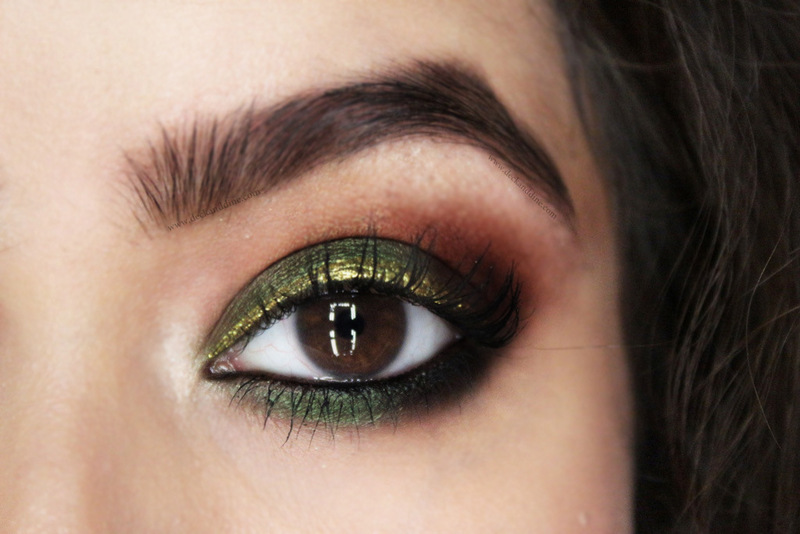 Next take a dark coco brown on the brush and start packing it on the outer corner, slowly blending off on the crease. Don’t worry if your shadow gets all over the place or extends past your eye, you can always clean that later. Concentrate on blending the colors. 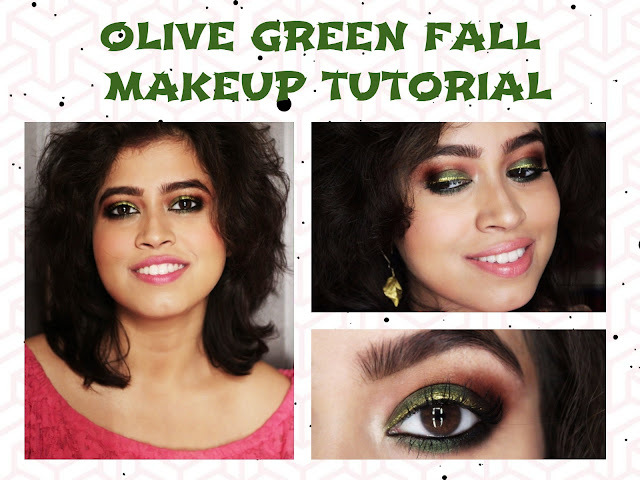 Then using a flat eye shadow brush, take an olive green shimmery eye shadow and start packing it on the center of your lids. Blend any harsh lines with a clean fluffy brush. Line your waterlines with a black Kajal, thickening it on the outer corners and then taking the same olive green eye shadow on a pencil brush, start smudging the kajal. Line your waterline again to have a crisp look. 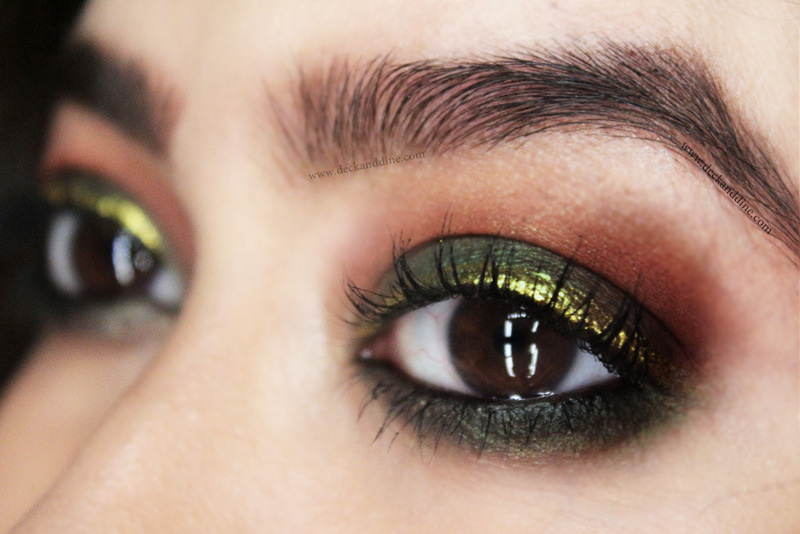 Now line the upper lash lines with a golden/copper eye liner, you can use traditional black as well. (Mine was an orangey gold shimmer line, though it came golden in pictures). Finally, apply loads of mascara to round off your eye makeup. (The mascara I used, I don’t know what went wrong with it, it clumped galore, kindly ignore that.) You can use false lashes if you want. 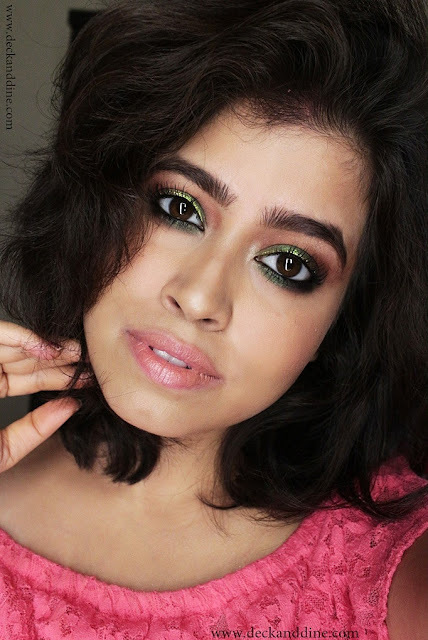 All my eye shadows are from Coastal Scents 252 eye shadow palette, my kajal is Lakme Eyeconic and mascara is L’Oreal Miss Manga. 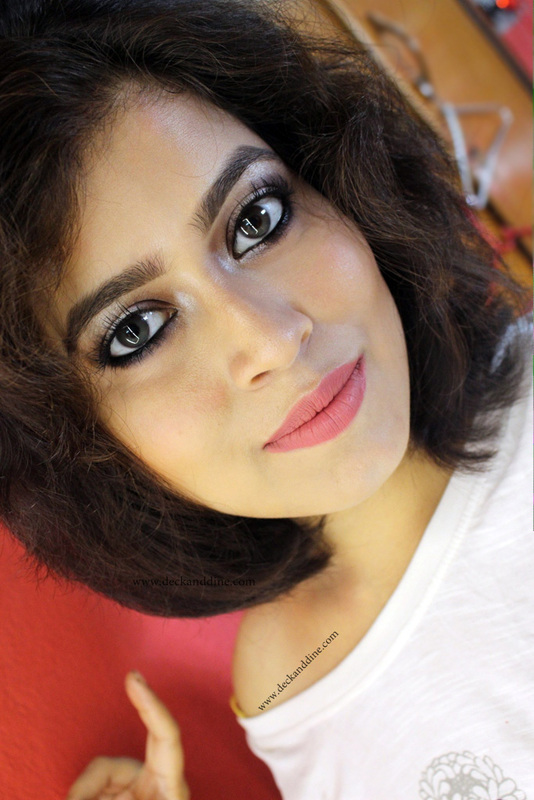 Apply a peachy blush on the cheeks and also your favorite highlighter on the high cheek bones and nose bridge. My blush and contour powder is from Ben Nye Blush pallet and highlighter is Colorpop Wisp. I applied Colourpop Strip on lips followed by MAC Lipglass C-Thru . That's a very pretty eyeshadow colour! This is such a perfect look for fall winters. 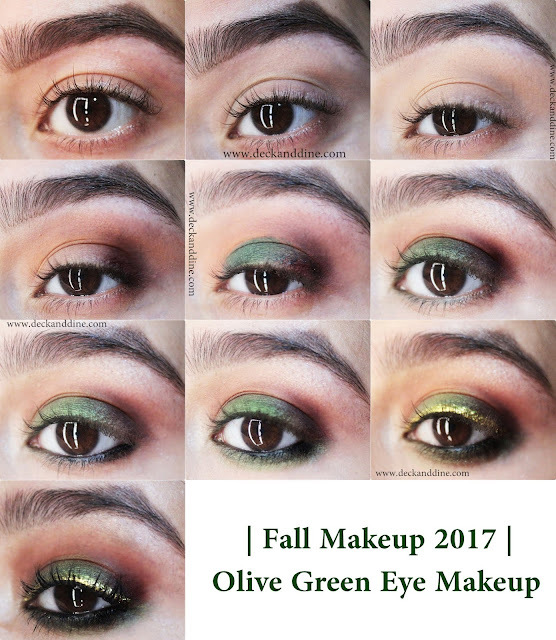 Love olive eye makeup. You look stunning. What brilliant play of colors Maddy. Loved every bit of the makeup. 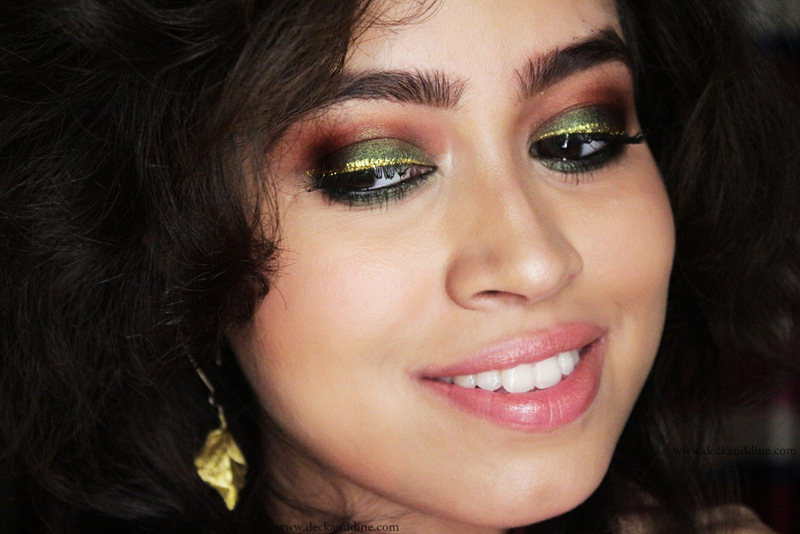 The golden eye liner gives it another level! Gorg!! Love the shots you took too, soo pretty ! !